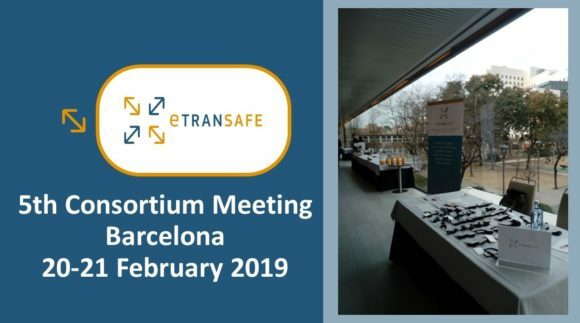 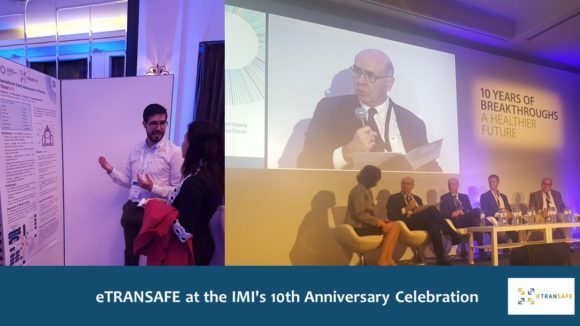 The 5th eTRANSAFE Consortium Meeting held in Barcelona (Spain) on the 20th and 21st of February 2019.
eTRANSAFE was present at the IMI 10th Anniversary Scientific Symposium and the IMI Stakeholder Forum, both events were jointly held in Brussels in the framework of the IMI's 10th anniversary celebration. 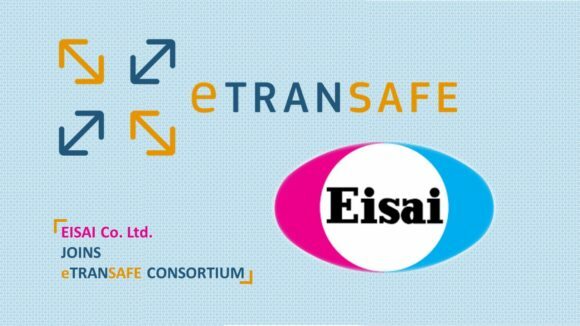 The Japanese company Eisai Co., Ltd. became a new eTRANSAFE partner from 1st of January 2018. 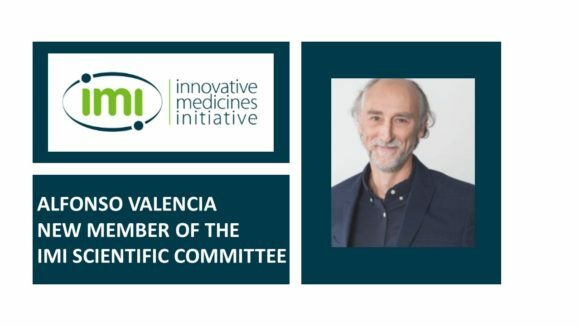 Dr Alfonso Valencia, Life Sciences Department Director at the BSC (Barcelona Supercomputing Center), has been appointed as a member of the IMI Scientific Committee from 1 October 2018 to 30 September 2020. 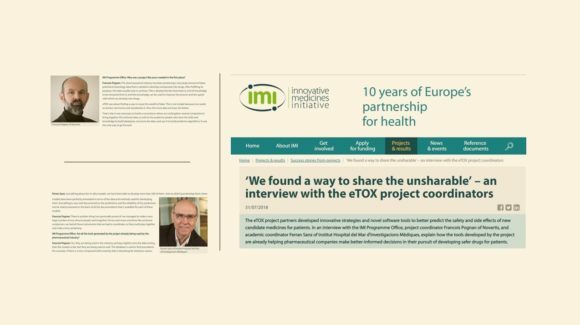 François Pognan and Ferran Sanz, project coordinators of the eTRANSAFE project share their experiences and achievements on the previous eTOX project through an interview with the IMI Programme Office.